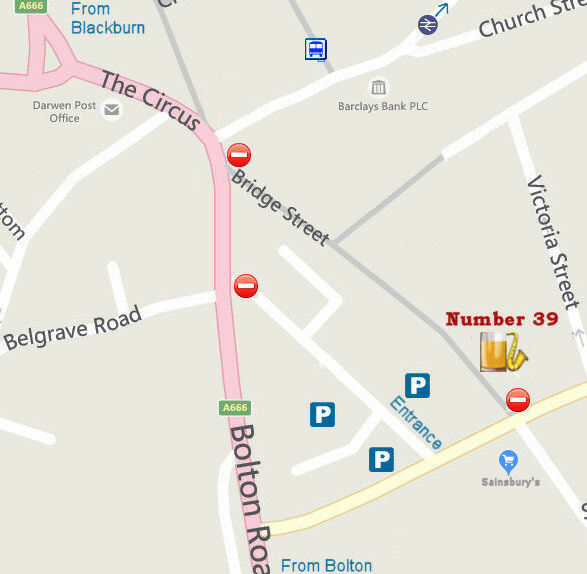 Number 39 regulars will be familiar with Warren who as a solo artist has treated us to the music of Buddy Holly, Eddie Cochran, Johnny Cash, Everly Brothers, Joe Brown, Lonnie Donegan, Woody Guthrie, Lead Belly and more. But tonight we are pleased to welcome him in a different guise with his 'Hot Band' and it promises to be a great evening of theatre, live music and stories. The theme for this evening is Americana which is the sound of the American dream, the foundation of pop music the world over, it encompasses Country, RockaBilly, Blues, Roots, Bluegrass and New Orleans. 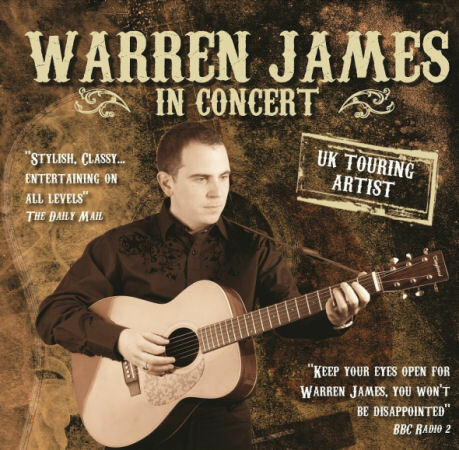 Warren James has performed in America, Germany and the UK - even touring for 10 years with the critically acclaimed Johnny Cash Story. Voted best guitarist at 2 national blues festivals, he has shared billing with the legendary Joe Brown, Brian May and Joe Pasquale for the show business charity The Grand Order of Water Rats and has even worked with American guitar legend, James Burton (guitarist to Elvis Presley, Emmylou Harris and John Denver). "Take Grammy winning guitarist Albert Lee, combine it with the legendary James Burton and add a voice like Buddy Holly with the performing energy of Lonnie Donegan - that's the Warren James sound - truly a class act"
"Acoustic-roots and skiffle has never been in safer hands"
"Keep your eyes open for Warren James, you won't be disappointed"
Take a look round Warren's website for more information and some videos.